CRESTLINE — The Crestline Bulldogs boys basketball team welcomed the Cloverleaf Colts to their home gymnasium on Wednesday, February 21 for a non-league contest. In their final home game of the year, Crestline would find themselves down 19-13 after the first eight minutes of action. 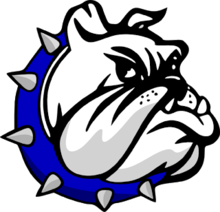 The Bulldogs would reverse the role and outscore their visitors in the second quarter; 16-13 to narrow the deficit and head into the locker room down 32-29 at the half. From there, Crestline would appear to make the necessary adjustments and would storm out in the second half to outscore the visiting Colts 19-8 in the third to take a 48-40 lead into the final eight minutes of regulation. Four quarters would be all that the ‘Dogs would need as they posted 18 additional points in the fourth while holding Cloverleaf to 10 en route to the 16-point victory; 66-50. With the senior night victory, Crestline extended their winning streak to four games and now sit at 10-11 overall on the season and 3-6 in the Mid-Buckeye Conference with just one game remaining. Davon Triplett dropped in 20 points on the evening to lead the way for the hometown ‘Dogs while Max Anatra and Ty Clark also reached double figures with 14 and 11 points, respectively. Other stats for the home team were: Team- 21/34 from the interior, 3/9 from the perimeter, 15/20 at the free-throw line, 27 total rebounds (6O, 21D), 14 assists, 13 steals, 1 block and 16 turnovers; Triplett- 6 rebounds, 2 steals; Anatra- 2 rebounds, 3 assists, 2 steals; Clark- 8 rebounds, 3 assists, 4 steals, 1 block; Kaden Ronk- 6 points, 1 assist, 1 steal; Zach Gregory- 4 points, 3 rebounds, 3 assists, 1 steal; Gavin Balliett- 4 points; Destin Chatman- 3 points; Caleb Hoskins- 2 points, 1 rebound, 1 steal; Kevin Winkler- 4 rebounds, 4 assists, 2 steals and AJ Watkins- 1 rebound. Cloverleaf had three players finish in double figures against the Crestline defense on Wednesday. Brycen Holliday led the way with 11 points while teammates Matt Tanko and Joe Rohde contributed 10 points apiece in the Colts’ efforts. As a team, Cloverleaf was 15/31 from the inside, 4/17 from the outside, 8/10 at the line, recorded 25 total rebounds (10O, 15D), had seven assists, 11 steals, three blocks and committed 22 team turnovers. The Bulldogs will be on the road for their final game of the regular season. Crestline will travel to Loudonville on Friday, February 23 for one last MBC game against the hosting Redbirds. As for tourney action, the Bulldogs will head to Galion High School on Tuesday, Feb. 27 to clash against the St. Paul Flyers in their Division IV, Willard District sectional semifinals matchup. Tip-off for that game is set to take place at 8 p.m.